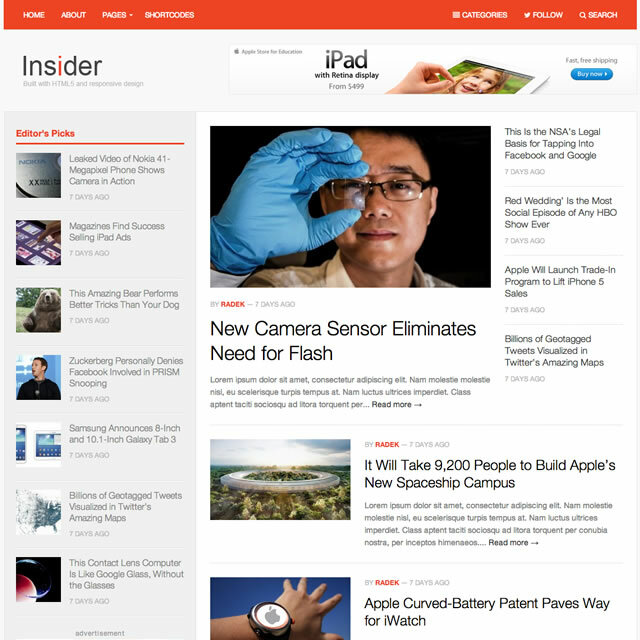 Theme Junkie has announced the latest responsive theme – Insider. Designed to work for personal bloggers, online magazines, newspapers or community blogs, etc., This theme is mobile friendly. In case you’re looking for a beautiful looking magazine or blog theme then you've just found it.